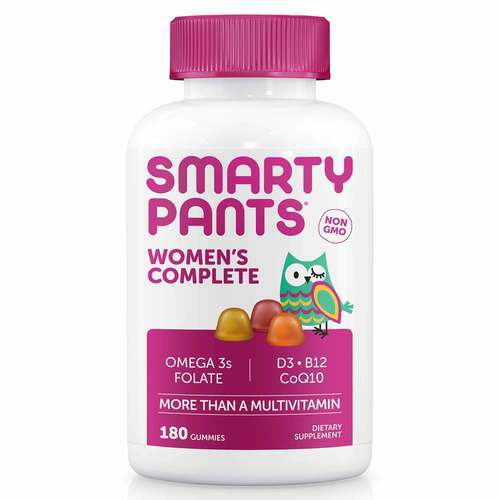 SmartyPants Vitamins Women's Complete is made with eco-friendly fish oil along with CoQ10 and other great vitamins for a well-rounded multivitamins. Warnings: Keep out of reach of children. Take only as directed. Do not exceed recommended dosage. If you have a medical condition, are on medication, or are pregnant or nursing, please consult your health care provider before use. Do not use if inner safety seal is broken. Store in a cool dry area. Do not freeze. 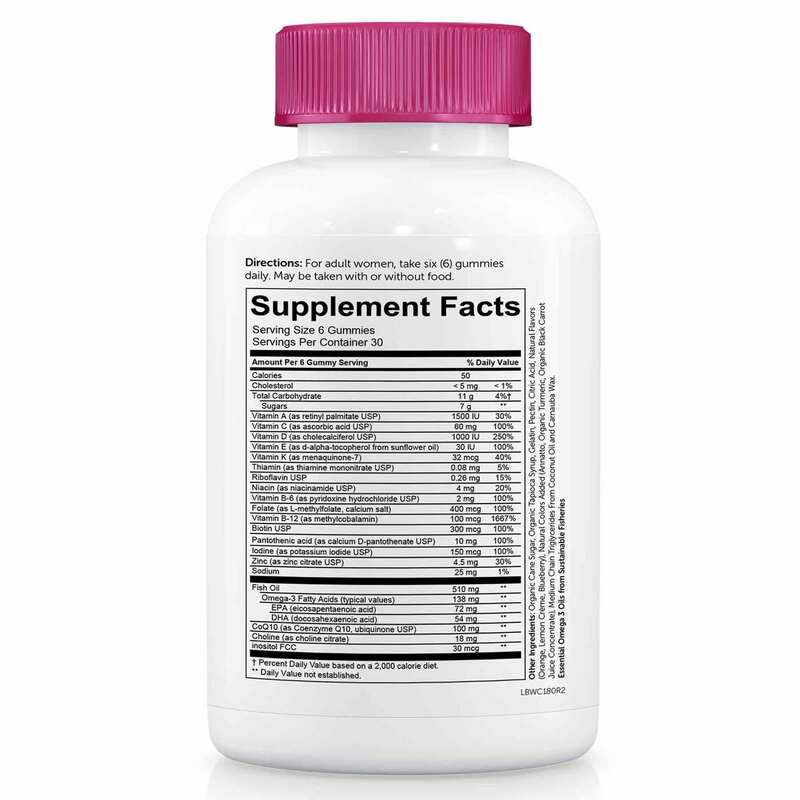 Natural colors will darken over time—this does not affect the potency of the product. 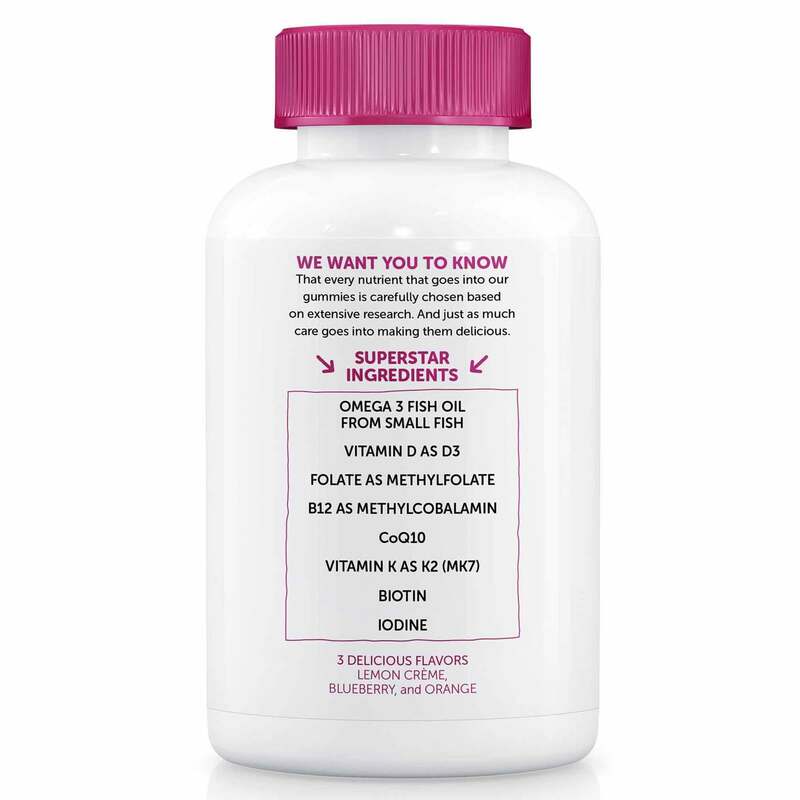 Recommended Use: For adult women, take six (6) Gummies daily. May be taken with or without food. The customer reviews posted below are based on individual consumer experiences and may NOT necessarily represent what expected results will be from using or taking SmartyPants Vitamins Women's Complete - 180 Gummies. These results may not be typical and you should not necessarily expect to receive the same results. Actual results may vary. I love smarty pants! this was my first time trying their women's complete and I was not disappointed!